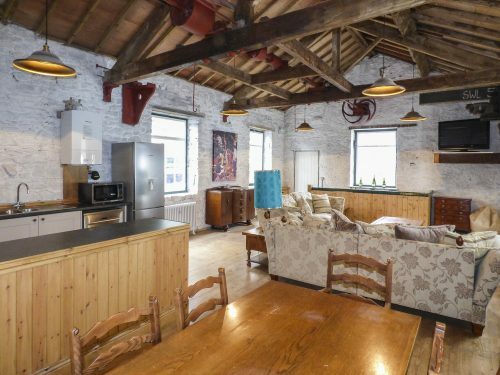 The Old Workshop is one of three superbly located cottages in converted outbuildings of the Grade II* listed, Torr Vale Mill on the leafy banks of the River Goyt. The cottage retains the original 18thcentury stone walls and, looking up, you’ll spot the workshop’s original drivebelt wheels amid the roof beams- a wonderful reminder of the building’s fascinating industrial past. Sleeping 7, it features three spacious bedrooms, one of which leads out onto a gravelled terrace with views down onto the beautiful river below. 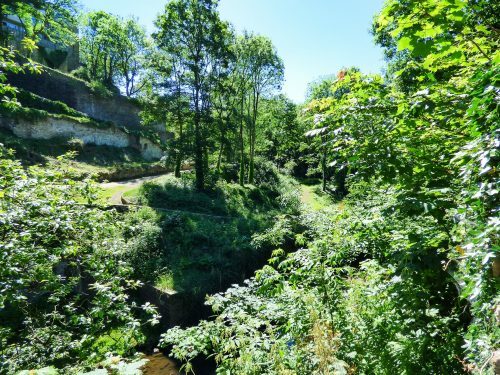 Passing by the monumental chimney stack outside, head down into Torr Gorge where the award-winning Millennium Walkway allows you to surround yourself with the beauty of the historic location. The Torr Vale Mill Cottages offer guests a unique chance to experience a trip to remember in three stunning relics of the area’s heritage. Note: This cottage can be booked in conjunction with The Fireman’s House and The Clocking In House to sleep a total of 17 people.